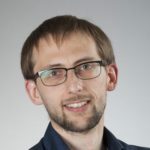 Thomas Debray is an assistant professor experienced in statistical methods for prediction modeling research using large, clustered, datasets from e-health records or individual participant data meta-analysis. His higher education started with a BSc in Applied Computer Science at University College of Ghent, where he specialized in computer networks. He continued with an MSc in Artificial Intelligence at Maastricht University, and a postgraduate MSc in Clinical Epidemiology at Utrecht University. 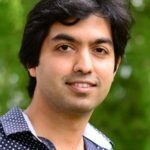 During his PhD, he started working on statistical methods for applying evidence synthesis in risk prediction, and developed several frameworks for evaluating and improving the performance of clinical prediction models. The past few years, Thomas got increasingly involved in large, international, projects and organizations where he advises health care professionals, researchers and decision makers in the analysis and interpretation of combined sources of data. 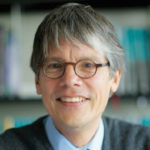 Thomas is currently appointed at the Julius Center for Health Sciences and Primary Care, Oxford University, University College London and Cochrane Netherlands, where he investigates statistical methods for dealing with between-study heterogeneity, missing data, confounding and differential treatment response. Sjoerd Verduyn Lunel is currently a Professor of Applied Analysis at Utrecht University whose research is at the interface of analysis and dynamical systems theory. One of his focuses of research consists of extracting the dynamical behavior of a system from time series biological data using a distance-based analysis of dynamical systems. An example of an application of this study is the classification of asthmatics and COPD patients. Sjoerd studied Mathematics with Physics at the University of Amsterdam and obtained his PhD at Leiden University. Afterwards, he held positions at Brown University, Georgia Instiute of Technology, University of Amsterdam, Vrije Universiteit Amsterdam, and Leiden University. He also was elected member of the Royal Holland Society of Sciences and Humanities in 2012 and honorary member of the Indonesian Mathematical Society. During his career, he has been the Head of the Leiden Institute of Advanced Computer Science as well as the Dean of the Faculty of Sciences at Leiden University. Nowadays, he is a member of the Chair of the board of the national platform for Dutch Mathematics and the Scientific Director of the Mathematical Institute at Utrecht University, and last June was reelected officer of the European Mathematical Society, where he has been the Secretary since 2015. Joana Gonçalves is an Assistant Professor at the Delft University of Technology (TUDelft) and a Guest Researcher at the Netherlands Cancer Institute (NKI). Her lab uses algorithmic and statistical data science to identify relevant patterns in large-scale biomedical data. One of the primary aims is to understand gene regulation and disruptions involved in disease to identify novel targets for treatment. Relevant recent work includes a study on the influence of the regulatory landscape on Cas9 activity and induced mutation patterns, and the design of efficient algorithms for regulatory pathway identification based on biclustering analysis of time course data. She is currently looking to expand her group and starting exciting collaborations, for instance to profile and analyze post-translational modifications over time. 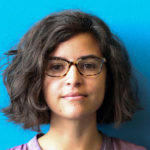 Joana is also actively involved in the education of future computer scientists and cross-disciplinary researchers from various backgrounds that bridge between the exact and the life sciences. She lectures Algorithms and Data Structures to ~1k eager Computer Science Bachelor students and Advanced Bioinformatics in the Computer Science Master at the TUDelft. Joana received a PhD in computer science from the Technical University of Lisbon, and spent several periods abroad over the years, e.g. at the University of Leuven and Imperial College London. Before becoming an Assistant Professor in 2017, she was a postdoc at the TUDelft and the NKI, and prior to that she held a Marie Curie postdoctoral fellowship at the Netherlands Centre for Computer Science and Mathematics (CWI). Katharina Sonnen is a principal investigator who researches signalling pathways and their dynamics, with the goal of understanding how information about development control and homeostasis is encoded. Katharina studied biochemistry and molecular biology before obtaining her PhD at the Max Planck Institute for Biochemistry. She then worked as a postdoc for five years at the European Molecular Biology Laboratory (EMBL), in the Developmental Biology Unit, where she focused on microfluidic technology and the timing of mammalian embryogenesis. 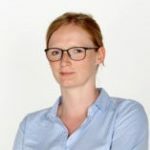 Since September 2018, she is a group leader at Hubrecht Institute, in Utrecht. The Sonnen group investigates how signalling pathway dynamics encode information to control development and homeostasis of multicellular systems. For the past few years, Siddharth has dwelled into the realm of synthetic biology, engineering bottom-up biochemical systems such as lipid-based vesicles and membraneless coacervate organelles, in order to improve our understanding of living organisms. He pioneered a physical chemistry-based microfluidic technique (abbreviated as OLA) to produce cell-sized liposomes. A high-throughput biocompatible production with an excellent encapsulation efficiency has made OLA a versatile and a user-friendly technique. Using this novel on-chip approach, they are able to control and manipulate the vesicles, such as grow and divide them, and also encapsulate different cellular protein machineries, with the ultimate aim of designing an autonomous growth-division life cycle of vesicles.